This rosy-hued pair of strappy sandals will have your little one shining on whatever adventures you take. 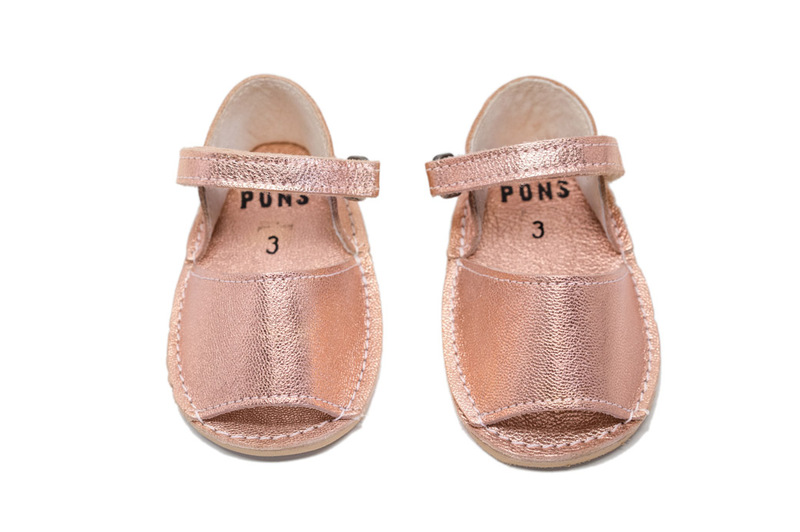 Handcrafted on the Spanish island of Menorca, our Little Fraileras in Rose Gold are produced with high quality natural leather, have flexible rubber soles, and feature an adjustable velcro strap for comfort, security, and easy dressing. Let these shining beauties take your child wherever their imagination dreams!